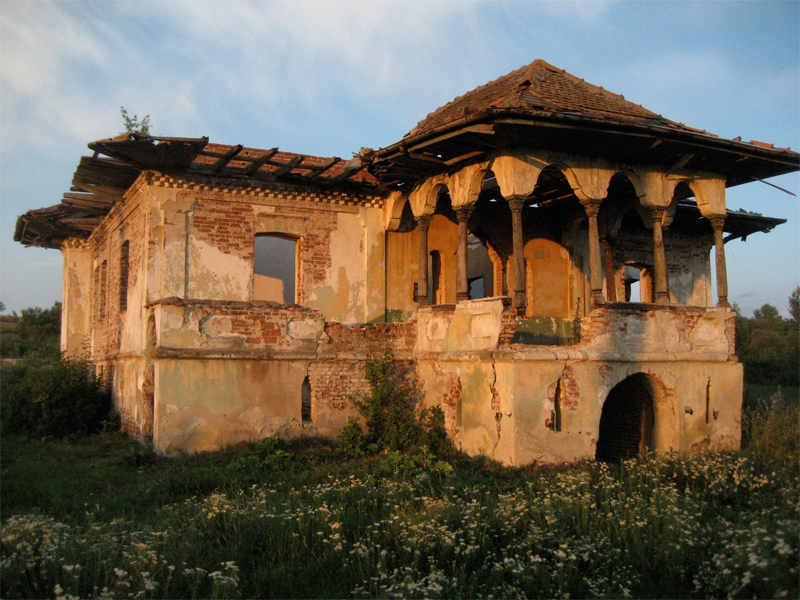 In many places, country manor houses of wealthy land-owners were expropriated by Communist rulers. These were often turned into farm buildings to store crops or machinery. More recently, these same properties were abndoned, stripped of any usable materials and left to decay. For the one above, built in the uniquely-Romanian Brancovean style, its days are numbered.